When you order your custom cake with us you are bringing together luscious flavors coupled with beautiful design. We realize, the cake you order with us will help create long lasting memories and every detail we attend to makes those memories more special. At Victoria Bakery & Café, we are fortunate to have 100 years of proven history behind us. After the four Italian bakers joined together in 1914, they spent several years fine tuning and combining their most successful recipes in one book. Since then, all our bakers have been determined to stay true to those original recipes and the end result is the finest flavors in cakes and pastries we offer today. We believe that this is the secret of our ever so popular Victoria Products. You may create your own custom cake with the help of one of our cake designers. Supplying us with photos of the custom cake you like and color samples along with wedding or other occasion themes will help us to create your unforgettable cake. Our bakers and cake artists are well tuned to the desires and descriptions of our customers. 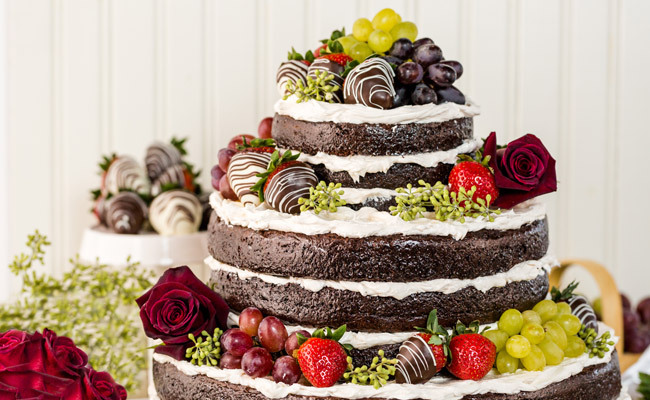 So, why not join our countless Bay Area customers who choose our custom cakes for their weddings, anniversaries and birthdays for generations? You can place your order as early as six months prior to your event to ensure a spot on our schedule.